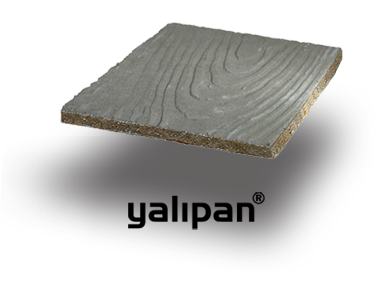 YALIPAN is a system for exterior wall cladding that consists of water resistant cement fiber boards. It is highly effective when used with heat insulation material. 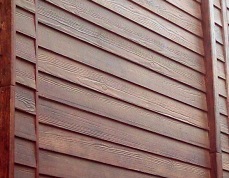 The system immitates wood. 2. reduction of the heat flow from the outside to the inside of the building. 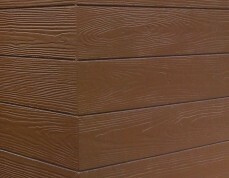 The corners are formed with a special angle profile made from the same material. The boards should be cut with a grinder with stone grinding disc or with a circular saw with blade with diamond tips. The boards are arranged horizontally and a 2mm joint between them is left. This joint should not be filled with jointfiller. The holes and the milling for the screw heads are made in the factory. The heads of the screw pin fasteners are hidden from the upper row of boards. The visible heads from the first row and from the corner profile should be covered with putty for metal.